The Nationwide Insurance: Bob A Malhotra in Lewisburg, WV provides the following products. To learn more about each insurance product, click on the links below. 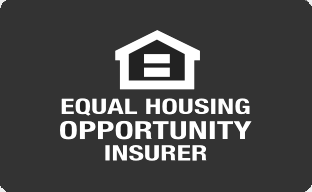 Insurance needs vary by individual circumstances. For example, your needs may be different if this is your first time getting auto insurance, if you have a classic car, or if you're retired and don't drive your vehicle as much as you used to. At Bob A Malhotra, we're familiar with working with various types of driving habits, vehicles, and special needs. We also go to every length to make sure our members have every discount to which they're entitled. Let us know what your ideal auto insurance protection plan looks like and we'll work with you to make it happen. See what a well-balanced combination of dedication and experience can do for your auto insurance protection. Whenever you're ready, call us at (304) 645-3511 or pay us a visit at our offices at 698 Church St. Feeling confident in your insurance policy's ability to protect what matters most is very important. Nationwide customers across the country have known for years that their chosen insurer is going to be there for them through the biggest life changes. Here at Bob A Malhotra, we are pleased to offer personalized insurance solutions to our valued Lewisburg customers. This is a great time to re-evaluate your insurance needs and make sure your policies are working hard on your behalf. Thanks to the many coverage options made available through Nationwide, we can offer a more personalized approach to policy creation. Having home insurance tailored to your individual needs is the best way to ensure you are getting the best value. We can help evaluate your current home insurance needs and assist in determining the forms of coverage that best address your concerns. Contact Bob A Malhotra today by calling (304) 645-3511 or visit our offices at 698 Church St. We look forward to helping your insurance do more for you. We at Bob A Malhotra are here to help people like you in the Lewisburg area. We are here to answer your questions and make life insurance understandable. We will explain term versus permanent insurance and we will outline the types of life insurance that may be best for you. Life gets hectic; make sure you are not too busy to take care of yourself and your family. Call us now at (304) 645-3511 and ask for Bob Malhotra. We are located at 698 Church St,Lewisburg,WV,24901 and you are welcome to stop in any time. Let us help you find the right policy to assure your family’s financial security. No Lewisburg business should be left without quality insurance protection. 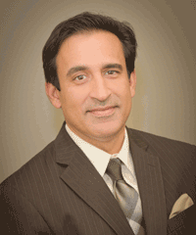 Bob Malhotra and the rest of us here at Bob A Malhotra specialize in providing coverage to local business owners so that their employees, finances, physical grounds, and offices are well-protected. We eliminate any guesswork that may be involved with insurance plans and replace it with confidence and reassurance. Nationwide is known for its stellar attention to detail when it comes to various insurance protections, which is why we've teamed up with them to bring you a dependable plan for your business and your employees. We aren't satisfied until we've helped you create a quality plan as well as identified each discount to which you're entitled. Bob Malhotra knows that equipment can break down, that your business operations can be interrupted, and that your employees may become injured. No matter the situation, your plan should account for it, which is exactly where we come in. Once we've set you up with coverage, we hope you'll keep us up to date on any changes you're making to your business in order that your plan always reflects your most current needs. Stop by our office located at 698 Church St when you're ready to learn more about Nationwide insurance. You're also welcome to give us a call at (304) 645-3511.